Textile industry has been seeking for new technologies to meet consumer demands. Nowadays, nanomaterial applications during manufacturing, finishing and coating processes to produce nanocomposite structures has come into prominence for acquiring multifunctionality or special functions for textiles. In the current study, nano-scaled particles namely nanoclays were incorporated in the structure of different cotton fabrics via finishing techniques to develop functionalized nanocomposite fabric with improved characteristics. After analyzing the tests, cotton fabrics treated with nanoclay were found to possess better flame-retardant characteristics and thermal stability compared to the untreated ones with the durability of the functionality against washing as well as improved tensile strength. 1. Monteiro, A., Jarrais, B., Rocha, I.M., Pereira, C., Pereira, M.F.R. and Freire, C., “Efficient immobilization of montmorillonite onto cotton textiles through their functionalization with organosilanes”, Applied Clay Science, 101:304-314, (2014). 2. Fang, F., Tong, B., Du, T., Zhang, X., Meng, Y., Liu, X. and Tian, X., “Unique nanobrick wall nanocoating for flame-retardant cotton fabric via layer-by-layer assembly technique”, Cellulose, 23:3341-3354, (2016). 3. Liu, H. and Wang, S., “Preparation of the Cotton Fabric with Ultraviolet Resistance and Antibacterial Activity Using Nano Attapulgite Colloidal Particles”, Fibers and Polymers, 13(10):1272-1279, (2012). 4. Chang, S., Slopek, R.P., Condon, B. and Grunlan, J.C., “Surface Coating for Flame-Retardant Behavior of Cotton Fabric Using a Continuous Layer-by-Layer Process”, Industrial and Engineering Chemistry Research, 53:3805-3812, (2014). 5. Li, Y.C., Schulz, J., Mannen, S., Delhom, C., Condon, B., Chang, S.C., Zammarano, M. and Grunlan, J.C., “Flame Retardant Behavior of Polyelectrolyte-Clay Thin Film Assemblies on Cotton Fabric”, ACS Nano, 4(6):3325-3337, (2010). 6. Gao, D., Li, R., Lv, B., Ma, J., Tian, F. and Zhang, J., “Flammability, thermal and physical-mechanical properties of cationic polymer/montmorillonite composite on cotton fabric”, Composites Part B, 77:329-337, (2015). 7. Huang, G., Liang, H., Wang, X. and Gao, J., “Poly(acrylic acid)/Clay Thin Films Assembled by Layer-by-Layer Deposition for Improving the Flame Retardancy Properties of Cotton”, Industrial and Engineering Chemistry Research, 51:12299-12309, (2012). 8. Joshi, M., Bhattacharyya, A., Agarwal, N. and Parmar, S., “Nanostructured coatings for super hydrophobic textiles”, Bulletin of Materials Science, 35(6):933-938, (2012). 9. Maryan, A.S., Montazer, M. and Rashidi, A., “Introducing Old-look, Soft Handle, Flame Retardant, and Anti-bacterial Properties to Denim Garments Using Nano Clay”, Journal of Engineered Fibers and Fabrics, 8(4):68-77, (2013). 10. Maryan, A.S. and Montazer, M., “One pot denim washing and finishing using organo-montmorillonite: introducing nano mineral washing and finishing”, Textile Research Journal, 85(1):91-100, (2015). 11. Maryan, A.S., Montazer, M., Harifi, T. and Rad, M.M., “Aged-look vat dyed cotton with anti-bacterial/anti-fungal properties by treatment with nano clay and enzymes”, Carbohydrate Polymers, 95:338-347, (2013). 12. Li, Y.C., Schulz, J. and Grunlan, J.C., “Polyelectrolyte/Nanosilicate Thin-Film Assemblies: Influence of pH on Growth, Mechanical Behavior, and Flammability”, ACS Applied Materials and Interfaces, 1(10):2338-2347, (2009). 13. Patra, D., Vangal, P., Cain, A.A., Cho, C., Regev, O. and Grunlan, J.C., “Inorganic Nanoparticle Thin Film that Suppresses Flammability of Polyurethane with only a Single Electrostatically-Assembled Bilayer”, ACS Applied Materials and Interfaces, 6:16903-16908, (2014). 14. Dastjerdi, R. and Montazer, M., “A review on the application of inorganic nano-structured materials in the modification of textiles: Focus on anti-microbial properties”, Colloids and Surfaces B: Biointerfaces, 79:5-18, (2010). 15. Hu, Y., Yu, B. and Song, L., “Novel fire-retardant coatings”, Novel Fire Retardant Polymers and Composite Materials, Woodhead Publishing, U.K., (2016). 16. Alongi, J., Frache, A., Malucelli, G. and Camino, G., “Multi-component flame resistant coating techniques for textiles”, Handbook of fire resistant textiles, Woodhead Publishing, U.K., (2013). 17. Halasz, K., Grozdits, G. and Csoka, L., “Functional nanostructured coatings via layer-by-layer self-assembly”, Anti-Abrasive Nanocoatings: Current and Future Applications, Woodhead Publishing, U.K., (2015). 18. Horrocks, A.R., Kandola, B. and Padbury, S., “The Effect of Functional Nanoclays in Enhancing the Fire Performance of Fibre-forming Polymers”, Journal of the Textile Institute, 94(3):46-66, (2003). 19. Pavlidou, S. and Papaspyrides, C.D., “A review on polymer–layered silicate nanocomposites”, Progress in Polymer Science, 33:1119-1198, (2008). 20. Devaux, E., Rochery, M. and Bourbigot, S., “Polyurethane/Clay and Polyurethane/POSS Nanocomposites as Flame Retarded Coating for Polyester and Cotton Fabrics”, Fire and Materials, 26:149-154, (2002). 21. Bhat, G., Hegde, R.R., Kamath, M.G. and Deshpande, B., “Nanoclay Reinforced Fibers and Nonwovens”, Journal of Engineered Fibers and Fabrics, 3(3):22-34, (2008). 22. Thostenson, E.T., Li, C. and Chou, T.W., “Nanocomposites in context”, Composites Science and Technology, 65:491-516, (2005). 23. Morlat, S., Mailhot, B., Gonzalez, D. and Gardette, J.L., “Photo-oxidation of Polypropylene/Montmorillonite Nanocomposites. 1. Influence of Nanoclay and Compatibilizing Agent”, Chemistry of Materials, 16(3):377-383, (2004). 24. Mittal, V., “Polymer Layered Silicate Nanocomposites: A Review”, Materials, 2:992-1057, (2009). 25. Horrocks, A.R., Kandola, B.K., Smart, G., Zhang, S. and Hull, T.R., “Polypropylene Fibers Containing Dispersed Clays Having Improved Fire Performance. I. Effect of Nanoclays on Processing Parameters and Fiber Properties”, Journal of Applied Polymer Science, 106: 1707-1717, (2007). 26. Ray, S.S. and Okamoto, M., “Polymer/layered silicate nanocomposites: a review from preparation to processing”, Progress in Polymer Science, 28:1539-1641, (2003). 27. Smart, G., Kandola, B.K., Horrocks, A.R., Nazare´, S. and Marney, D., “Polypropylene fibers containing dispersed clays having improved fire performance. Part II: characterization of fibers and fabrics from PP–nanoclay blends”, Polymers for Advanced Technologies, 19:658-670, (2008). 28. Sharma, S. K., Nema, A.K. and Nayak, S.K., “Polypropylene Nanocomposite Film: A Critical Evaluation on the Effect of Nanoclay on the Mechanical, Thermal, and Morphological Behavior”, Journal of Applied Polymer Science, 115:3463-3473, (2010). 29. Ahmadi, S.J., Huang, Y.D. and Li, W., “Synthetic routes, properties and future applications of polymer-layered silicate nanocomposites”, Journal of Materials Science, 39:1919-1925, (2004). 30. Kandare, E., Kandola, B.K., Price, D., Nazare´, S. and Horrocks, A.R., “Study of the thermal decomposition of flame-retarded unsaturated polyester resins by thermogravimetric analysis and Py-GC/MS”, Polymer Degradation and Stability, 93:1996-2006, (2008). 31. 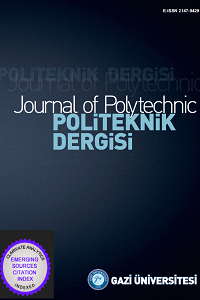 Marras, S.I., Tsimpliaraki, A., Zuburtikudis, I. and Panayiotou, C., “Surfactant-induced morphology and thermal behavior of polymer layered silicate nanocomposites”, Journal of Physics: Conference Series, 61:1366-1370, (2007). 32. Zhang, S., Hull, T.R., Horrocks, A.R., Smart, G., Kandola, B.K., Ebdon, J., Joseph, P.and Hunt, B., “Thermal degradation analysis and XRD characterisation of fibre-forming synthetic polypropylene containing nanoclay”, Polymer Degradation and Stability, 92:727-732, (2007). 33. Qin, H., Zhang, S., Zhao, C., Feng, M., Yang, M., Shu, Z. and Yang, S., “Thermal stability and flammability of polypropylene/montmorillonite composites”, Polymer Degradation and Stability, 85:807-813, (2004). 34. Bourbigot, S., Devaux, E. and Flambard, X., “Flammability of polyamide-6/clay hybrid nanocomposite textiles”, Polymer Degradation and Stability, 75:397-402, (2002). 35. Horrocks, A.R., “Flame retardant/resistant textile coatings and laminates”, Advances in fire retardant materials, Woodhead Publishing, U.K., (2008). 36. Maryan, A.S. and Montazer, M., “Natural and organo-montmorillonite as antibacterial nanoclays for cotton garment”, Journal of Industrial and Engineering Chemistry, 22:164-170, (2015). 37. Cain, A.A., Nolen, C.R., Li, Y.C., Davis, R. and Grunlan, J.C., “Phosphorous-filled nanobrick wall multilayer thin film eliminates polyurethane melt dripping and reduces heat release associated with fire”, Polymer Degradation and Stability, 98:2645-2652, (2013). 38. Horrocks, A.R., Nazare´, S., Masooda, R., Kandola, B.K. and Price, D., “Surface modification of fabrics for improved flash-fire resistance using atmospheric pressure plasma in the presence of a functionalized clay and polysiloxane”, Polymers Advanced Technologies, 22:22-29, (2011). 39. Innes, A. and Innes, J., “Flame Retardants”, Handbook of Environmental Degradation of Materials, William Andrew, U.K., (2012). 40. Horrocks, A.R., “Smart flame retardant textile coatings and laminates”, Smart textile coatings and laminates, Woodhead Publishing, U.K., (2010). 41. Nazaré, S., “Environmentally friendly flame-retardant textiles”, Sustainable textiles Life Cycle and Environmental Impact, Woodhead Publishing, U.K., (2009). 42. Mohan, T.P. and Kanny, K., “Chemical treatment of sisal fiber using alkali and clay method”, Composites: Part A, 43:1989-1998, (2012). 43. Wei, C., Zeng, S., Tan, Y., Wang, W., Lv, J. and Liu, H., “Impact of Layer-by-Layer Self-Assembly Clay-Based Nanocoating on Flame Retardant Properties of Sisal Fiber Cellulose Microcrystals”, Advances in Materials Science and Engineering, 2015:1-7, (2015). 44. Apaydin, K., Laachachi, A., Ball, V., Jimenez, M., Bourbigot,S., Toniazzo, V. and Ruch, D., “Polyallylamine-montmorillonite as super flame retardant coating assemblies by layer-by layer deposition on polyamide”, Polymer Degradation and Stability, 98:627-634, (2013). 45. Kiliaris, P. and Papaspyrides, C.D., “Polymer/layered silicate (clay) nanocomposites: An overview of flame retardancy”, Progress in Polymer Science, 35:902-958, (2010). 46. Horrocks, A.R., Kandola, B.K., Davies, P.J., Zhang, S. and Padbury, S.A., “Developments in flame retardant textiles-a review”, Polymer Degradation and Stability, 88:3-12, (2005). 47. Pack, S., Si,M., Koo, J., Sokolov, J.C., Koga, D., Kashiwagi, T. and Rafailovich, M.H., “Mode-of-action of self-extinguishing polymer blends containing organoclays”, Polymer Degradation and Stability, 94:306-326, (2009). 48. Horrocks, A.R., “Flame retardant challenges for textiles and fibres: New chemistry versus innovatory solutions”, Polymer Degradation and Stability, 96:377-392, (2011). 49. Song, G. and Lu, Y., “Flame resistant textiles for structural and proximity fire-fighting”, Handbook of fire resistant textiles, Woodhead Publishing, U.K., (2013). 50. Kandola, B.K., Smart, G., Horrocks, A.R., Joseph, P., Zhang, S., Hull, T.R., Ebdon, J., Hunt, B. and Cook, A., “Effect of Different Compatibilisers on Nanoclay Dispersion, Thermal Stability, and Burning Behavior of Polypropylene–Nanoclay Blends”, Journal of Applied Polymer Science, 108:816-824, (2008). 51. Zhang, S., Horrocks, A.R., Hull, R. and Kandola, B.K., “Flammability, degradation and structural characterization of fibre-forming polypropylene containing nanoclay-flame retardant combinations”, Polymer Degradation and Stability, 91:719-725, (2006). 52. Weil, E.D. and Levchik, S.V., “Overview of Modes of Action and Interaction of Flame Retardants”, Flame Retardants for Plastics and Textiles Practical Applications, Carl Hanser Verlag GmbH & Co., Germany, (2015). 53. Memis, S., Tornuk, F., Bozkurt, F. and Durak, M. Z., “Production and characterization of a new biodegradable fenugreekseed gum based active nanocomposite film reinforced with nanoclays”, International Journal of Biological Macromolecules, 103:669-675, (2017). 54. Nanocor Inc., Nanomer®: Nanoclay as Flame Retardation Additives, Environmentally Friendly Flame Retardants, July 19-20, 2007, http://www.nanocor.com/tech_papers/Pira-Enviro-F-FR-Nanocor-7-20-07%202%20%20in%201.pdf , accessed on 22.05.2018. 55. Yao, H., You, Z., Li, L., Goh, S.W., Lee, C.H., Yap, Y.K. and Shi, X., “Rheological properties and chemical analysis of nanoclay and carbon microfiber modified asphalt with Fourier transform infrared spectroscopy”, Construction and Building Materials, 38:327-337, (2013). 56. Abidi, N., Hequet, E. and Cabrales, L., “Applications of Fourier Transform Infrared Spectroscopy to Study Cotton Fibers”, Fourier Transforms-New Analytical Approaches and FTIR Strategies, InTech, U.K., (2011). 57. Allen, A., Foulk, J. and Gamble, G., “Textile Technology: Preliminary Fourier-Transform Infrared Spectroscopy Analysis of Cotton Trash”, The Journal of Cotton Science, 11:68-74, (2007). 58. Adebajo, M.O. and Frost, R.L., “Acetylation of raw cotton for oil spill cleanup application: an FTIR and 13C MAS NMR spectroscopic investigation”, Spectrochimica Acta Part A, 60:2315-2321, (2004). 59. Perincek, S., “Ozonation: A new patterning method for optical bleached fabrics”, Tekstil ve Konfeksiyon, 26(1):76-83, (2016). 60. Haule, L.V., Carr, C.M. and Rigout, M., “Investigation into the supramolecular properties of fibres regenerated from cotton based waste garments”, Carbohydrate Polymers, 144:131-139, (2016). 61. Abid, K., Dhouib, S. and Sakli, F., “Addition effect of nanoparticles on the mechanical properties of coated fabric”, The Journal of the Textile Institute, 101(5):443-451, (2010). 62. Maryan, A.S., Montazer, M. and Damerchely, R., “Discoloration of denim garment with color free effluent using montmorillonite based nano clay and enzymes: nano bio-treatment on denim garment”, Journal of Cleaner Production, 91:208-215, (2015).